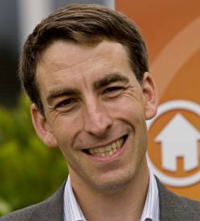 This guest post is written by Glen Kelman, the president and CEO of real estate startup Redfin. Previously, he was a co-founder of Plumtree Software, a Sequoia-backed, publicly traded company that created the enterprise portal software market. American lives, F. Scott Fitzgerald once said, don’t have a second act. As the New York Times’ Gary Rivlin reported in his profile of PayPal co-founder Max Levchin, Silicon Valley hasn’t noticed. More companies than ever are being started by serial entrepreneurs. The second coming of the Internet bubble, Web 2.0, has in some ways been the love-child of Entrepreneur 2.0 — wealthy from his 1990’s success, restless from his time off. Venture capitalists have lined up with funding. While second-timers’ experience may lower the likelihood of failure, from 82% to 70% according to one study, no one has noticed that it also seems to limit the magnitude of success. Every Silicon Valley colossus — Amazon, Apple, Dell, Ebay, Google, Microsoft, Oracle and Yahoo! — was started by a first-timer 30 or under. Facebook was founded by teenagers. Yet we still insist on believing in the serial entrepreneur with the Midas Touch. We make celebrities of our entrepreneurs because we’d rather believe in talent than luck. And we tend to overlook reasons why second-time entrepreneurs are actually worse, not better, for their experience. For example, many second-time entrepreneurs are so intent on replicating their success that they manufacture an inferior idea where the first one grew naturally out of a problem that had been bothering them. Some become so obsessed with how great their first company was that they spend all their time trying to copy it rather than building something different and new. They often hire top-heavy teams from past ventures, or strain to grow fast enough to meet higher expectations. Most strike out on their own without the partners they depended on for candor in their first success. No one is likely to call us out on it. I was on a panel last Thursday with a three-time entrepreneur who said that the typical money-raising process is one of the only real sanity checks a business plan is likely to get. But his current company never got that early scrutiny: because of his experience, he said, he was able to raise capital before really understanding his target customers. I’m not even sure the experience investors think they’re buying is the right kind of experience. I know this from my own career. Like the PayPal entrepreneur, part of my interest in a second startup was a shot at being CEO. This means that what I used to be really good at — designing software — I don’t do as much of anymore, and what I never had to learn how to do — manage people – I now do all the time. Meanwhile, some of the things I have learned aren’t much help. The chairman of the company I co-founded in 1997 often complained that “you don’t even know what you don’t know.” But that ignorance about a startup’s challenges lets first-time entrepreneurs think big. Once you learn your limits, and you reflect on your shiny new reputation, you get cautious. Of course, none of this will stop an entrepreneur from starting another company. The way that Charles Dickens once described his depression — as the child inside himself who won’t stop crying — always seemed to me to be a better description of the entrepreneur’s insatiable unhappiness with a world that could be so much better. And it probably won’t prevent many second-timers’ companies from reaching safe, profitable outcomes. But to be really great, I wonder if second-timers have to forget some of what it cost us so much to learn.